This Is No Declaration: Winter at Earth's end. 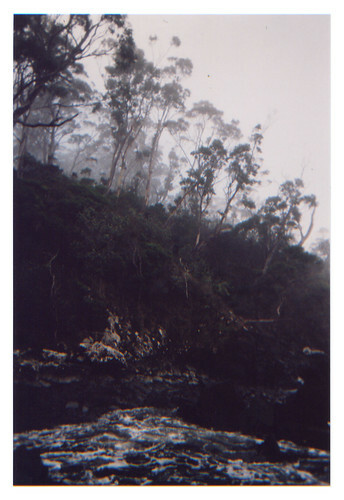 This photo is from a recent trip to Tasmania with Romy & Sarah. We stayed with Romy's uncle in his beautiful home on the tip of a peninsula about 1.5 hours south of Hobart. We left computers and digital cameras at home and just cooked, ate, read, drew, ate, knitted, ate, lounged, ate, hiked, skipped stones and ate. You can see all of the photos here. Shot with two disposable cameras and a very thrilled, wide-eye. Myself in two years time.